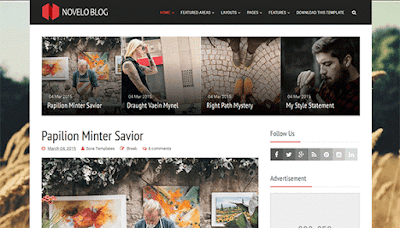 Novelo Blog is a responsive blogger theme with clean and minimal design, a perfect solution for those, who’s looking for a great theme to share their stories through the effective blogging site. Novelo Blog is equipped with various of widgets which will help you to publish your blog more professionally. To make it easy for you we have published this detailed documentation, so that you can setup your blog correctly. Both works automatically with latest posts. But you have to make sure about few things. Just search for those text in your html and then replace it with your text.